Online Selectel and Page Plus dealer Genius Wireless has a new promotion for the month of November. Use the November Discount Code of THANKFUL55 to get 5% off the Selectel $55 Data User monthly plan or the $55 The 55 plan from Page Plus. Both plans include unlimited voice minutes and texts. The Selectel $55 plan also includes free off-network voice and text roaming and 2 GB of 3G data. The Page Plus $55 monthly plan includes 3 GB of 4G LTE or 3G data. Off-network voice roaming is 20¢ per minute and text roaming is free . Selectel and Page Plus are both Verizon MVNOs. PagePlus, which was founded in 1993 and was recently acquired by TracFone, is the larger and older of the two. Selectel, which launched in May, 2013 is unusual in that it offers no extra cost off-network voice roaming with all plans. For more about about Page Plus see our Page Plus Operator Profile. For more about Selectel see our Selectel Operator Profile. Genius Wireless is one of the largest Selectel and Page Plus dealers and is noted for good customer service. They offer a no extra charge auto refill service for Selectel customers. Auto refill is not available directly from Selectel. I'm thinking we are probably gonna see these discount codes from Genius Wireless as a common occurrence,due to AT&Ts 'new upcoming $60 Unlimited Talk & Text & Data GoPhone Plan. Dennis -- Just wondering . . . Are you planning to investigate MadStar Mobile? I see that it's website, although sluggish, is up and running: http://madstarmobile.com/. Wow... $88 for 2GB data??? Did I read that right? I read it again. Apparently an MVNO, Madstar has prices 3 times that of the others. Wow.... Higher than just about any regular contract cell telco I can think of too. Am I missing something? Like this is satellite global data good in 6 of 7 continents or something? 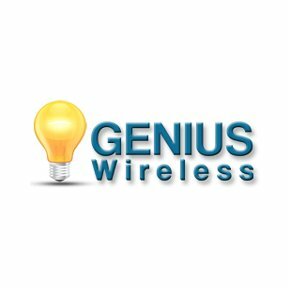 I have used Genius Wireless recently and have also recommended them to others. Unlike many online dealers, you can actually speak to Eric or Barbara on the phone if you need to. It's great to be able to actually speak with a live person in the US when you need to! We suggest you go to Bat Mobile Wireless for your cell phone needs. When did Genius Wireless close? Genius shut down around the middle of Decenber.